Join USI Northeast for a free informational webinar where we will explore the array of risk financing strategies that allow companies to assume greater control over their risk management programs. 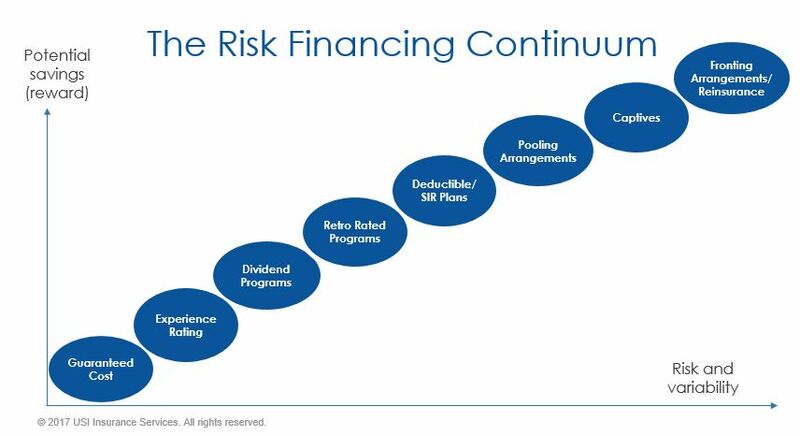 What is the Risk Financing Continuum? When should companies explore the middle to upper end of the continuum? How do deductible programs work? What are captives, risk retention groups, and risk purchasing groups? How are captives being utilized with employee benefit programs?